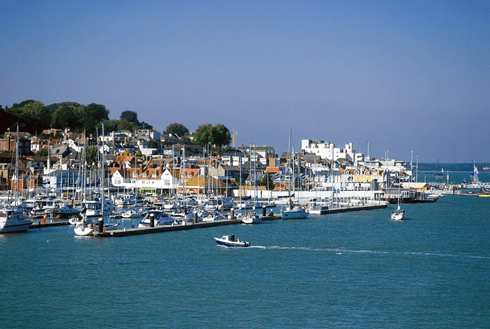 A visit to Cowes is well worth it to soak up the ambience of one of the world’s busiest yachting centres, home of the America’s Cup. Watch one of the many regattas or take a stroll through the narrow cobbled streets, exploring shops, cafes and restaurants. Osborne House , Queen Victoria’s magnificent summer residence, is open to the public and just a short bus or taxi ride from East Cowes Marina. All aboard! Portsmouth’s historic dockyard is home to famous sailing ships of bygone days including HMS Victory and HMS Warrior - Lord Nelson sailed from Portsmouth in HMS Victory to win the battle of Trafalgar. On a visit to the Dockyard you can step aboard these ships and learn how the history of shipbuilding and innovation in Portsmouth shaped the world. There are some great museums to be explored, including the National Museum of the Royal Navy and the Submarine Museum . A picturesque marina, Beaulieu River offers peace and tranquillity in the heart of the New Forest. Visit for a couple of hours, pick up a mooring, go alongside at the RSYC’s Gins Farm or stay overnight in the marina. After a walk along the riverbank to Beaulieu, treat yourself to a drink and supper at the Montagu Arms . A short walk in the opposite direction also provides light refreshment at the Master Builder’s , Buckler’s Hard – where most of Henry VIII’s fleet was built. If there’s time, Lord Montague’s private car collection at Beaulieu Motor Museum is worth a visit. The charming, pretty village of Yarmouth will appeal to everyone. Great pubs and restaurants include The George , with outside tables at the water’s edge. Yarmouth is situated on one of the best parts of the island for walking; there are lovely coastal walks to the Needles and across the island to Freshwater Bay. See why this area inspired Alfred Lord Tennyson – the light and views across the sea are always changing and the sunsets are spectacular. For a guide to accessing Yarmouth marina click here . A natural, unspoilt harbour, Newtown Creek is a nature reserve on the Isle of Wight. 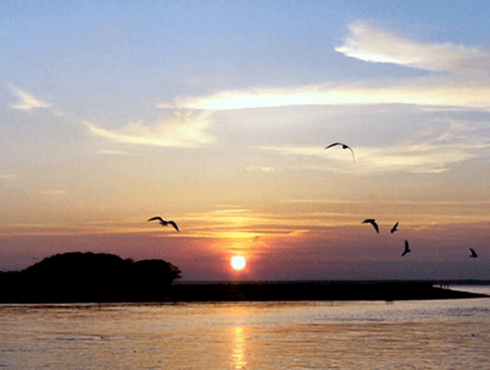 Peaceful and tranquil, it’s a haven for birds, especially in spring and winter, and a great place to spot wetland wildlife. It’s a beautiful place to explore, surrounded by meadows of wild flowers and ancient woodland. Visitors' moorings are provided and a run ashore in the dinghy to the local pub is a must! 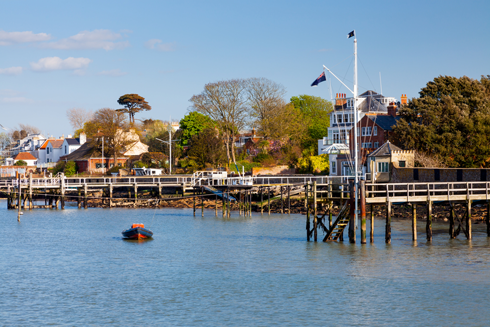 There’s lots to see in the busy port of Lymington , a Georgian market town world-renowned as a sailing resort. There are ferry links to the Isle of Wight and plenty of shops, pubs and restaurants. 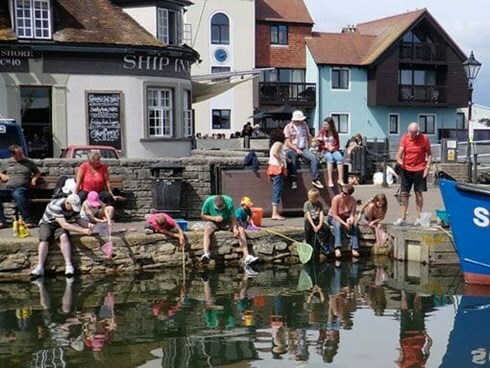 Moor up against the town quay or in one of the marinas and visit the quaint cobbled High Street with its traditional Saturday market, established more than 750 years ago in 1250. All these ports can be reached within a 2-4 hour sail from Shamrock Quay. En-route you could also take in the village of Hamble – a popular yachting centre and a great place to have a drink and enjoy the atmosphere. There’s no shortage of brilliant sailing in the Solent and so many great places to visit... the choice is yours!